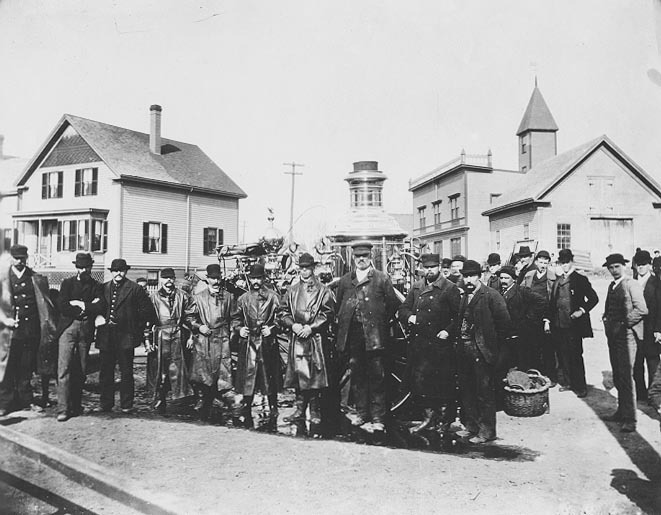 View of members of the Swampscott Fire Department and the department's steamer. “Swampscott Fire Department and steamer : no. 1,” Swampscott Public Library, Swampscott, Mass., accessed April 24, 2019, https://digitalheritage.noblenet.org/swampscott/items/show/153.